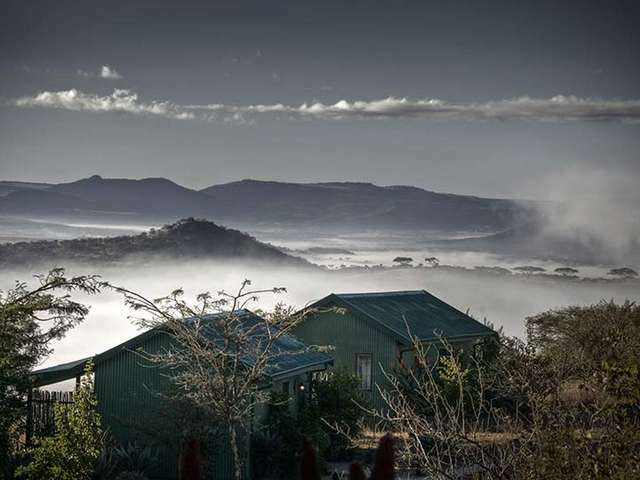 Built on a hillside amongst the striking Aloe spectabilis and the Paperbark Acacia with views that inspired a guest to write ‘Africa at its finest!’. 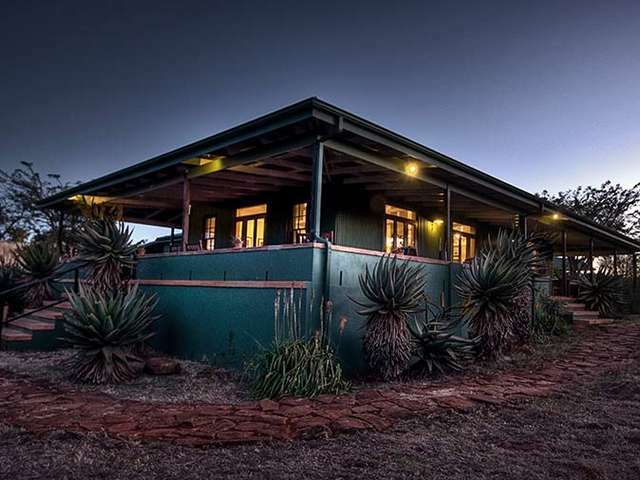 The Lodge overlooks the Spioenkop Game Reserve, white rhino, giraffe, zebra, eland, kudu, numerous smaller antelope can be seen from the lodge, perhaps even from your bath! 270 bird species from Cape Vultures and Lanner Falcons to Buff Streaked Chats and Fairy Flycatchers have been recorded in the area. The bedrooms are equipped with all the modern conveniences with heated towel rails and 100% cotton percale linen adding to you comfort. These luxuries do not detract from the colonial design, but merely enhance your turn of the century South African colonial life experience. The beds are ¾ twins but doubles are available on request. 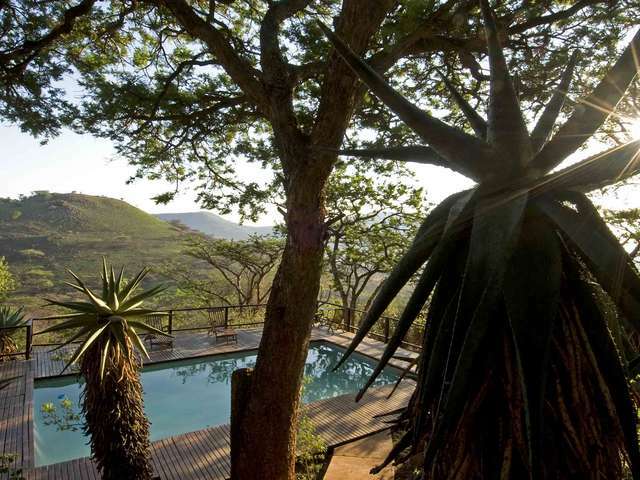 Each room has its own deck, which offers unimpeded views of the valley and Spionkop. If luck is on your side you might see a rhino or giraffe wandering by. 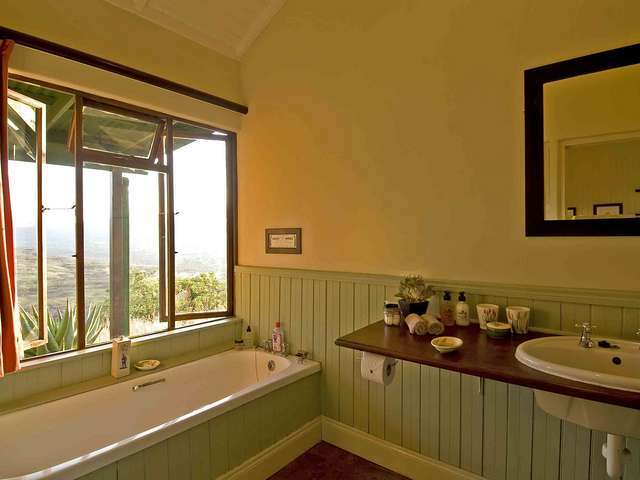 Each of the six twin cottages has its own shower and bath from where one can soak up the atmosphere of Spioenkop whilst gazing out over the valley. 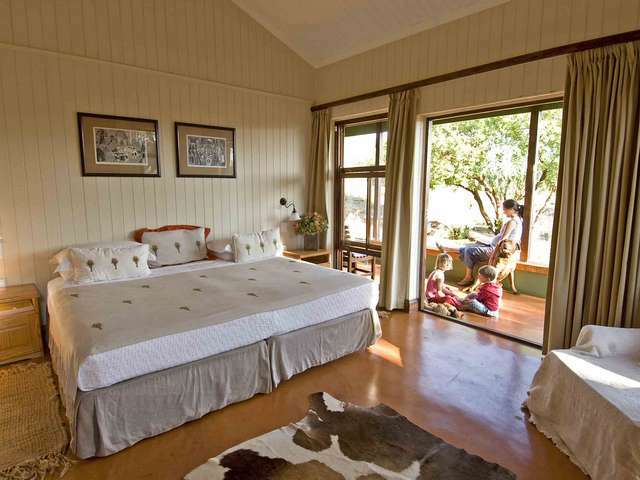 Three Tree Hills Lodge in the Northern Drakensberg has unveiled its new private villa. 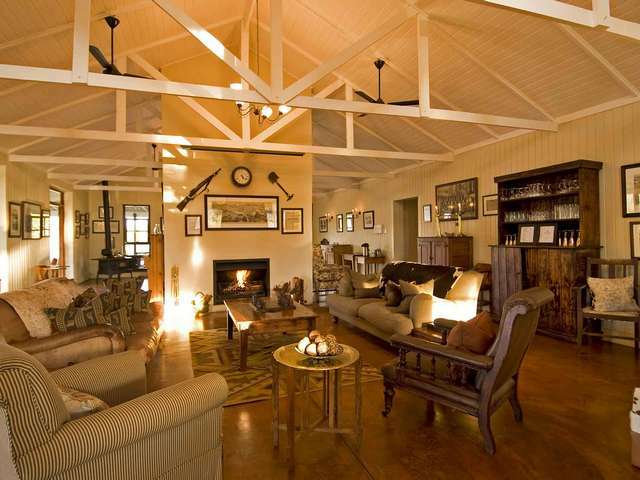 Three Tree Hill Lodge specialises in the history of the 2nd Anglo-Boer War from (1899 – 1902) with the Battle of Spioenkop being our focal point. One cannot however hope to understand this watershed event (not just for South Africa – it was ‘the longest, the costliest, the bloodiest and most humiliating war that Britain fought in between 1815 and 1914’) without studying what caused one of the smallest countries in the world to declare war on the worlds greatest empire of the time. Our guides, Andrew Ardington and Christi Vogel, bring this dramatic period of our history to life presenting world class, holistic, evocative and insightful tours. 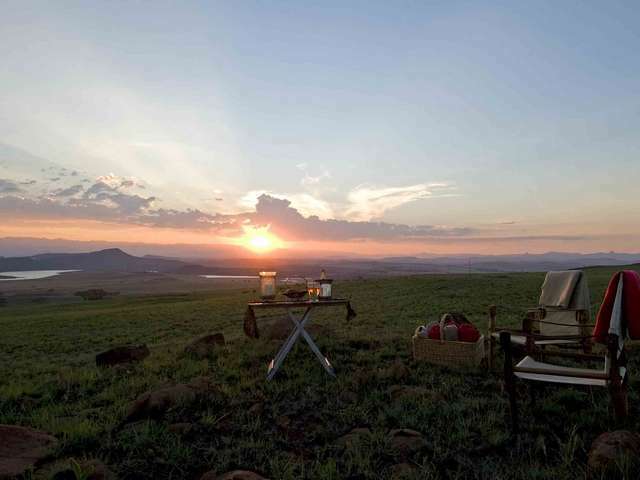 Stocked with rhino, giraffe, zebra, eland and numerous other antelope, home to more than 270 bird species and with spectacular views of the Drakensberg over Spionkop Dam, Spioenkop Game Reserve is worth a visit. 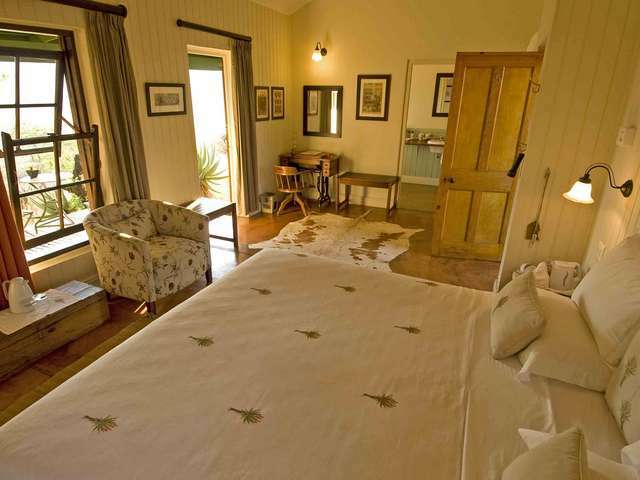 Although Three Tree Hill Lodge borders and overlooks part of the Reserve we have no direct access unless a walk has been pre-arranged with KZN Wildlife. There are numerous opportunities for horse riding at and around Three Tree Hill. We conduct rides on the farm providing wonderful views of the Spioenkop , the Game Reserve and the Drakensberg Mountains. A wonderful opportunity to experience this spectacular countryside up close. Its flora and fauna, insights into the difficulties of fighting a war with Victorian impedimenta on this terrain and other, seldom visited parts of the (the Boer trenches on nTabamnyama for example). Rides can also be arranged up onto the top of Spioenkop. 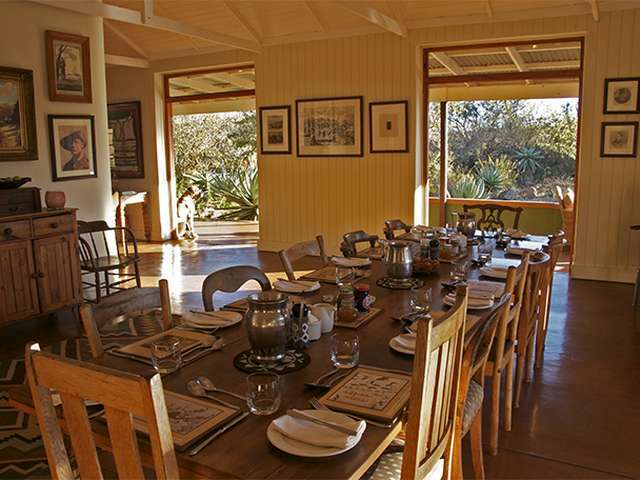 The Spioenkop Game Reserve also offers rides( starting at 08h00 and 14h00). and Rolling M Ranch on Vaalkrans have wonderful horses. There are numerous walks available from the Lodge. So if its nature, history or purely exercise the choice is yours. 1. Take the N3 out of Johannesburg towards Durban. 2. Bypass Heidelberg, Villiers, Warden and Harrismith. 3. Take the R616 glide-off to Bergville/Ladysmith (Exit No. 230). 4. Turn right towards Bergville. Go for about 19km. 5. Approximately 1km after the Easby Guest House sign turn left onto the D564 (Hambrook Village and Rangeworthy Cemetery). 6. Follow this gravel road for about 8km. 7. The Lodge is at the end of this road – signpost left over the cattle grid. 1. Take the N3 out of Durban towards Johannesburg. 2. Bypass Pietermaritzburg, Mooi River and Estcourt. 4. Turn left towards Bergville. Go for about 19km. 5. Approximately 1km after the Easby Guest House sign, turn left onto the D564. Follow this gravel road to the lodge for 8km. Children of all ages are welcome at Three Trees. Earlier meal times can be arranged for children, no problem. Child Minder & cots available on request. Please arrange prior to arrival. 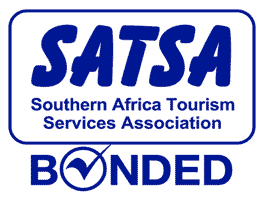 Children aged 12 and older are considered adults and therefore pay the full rate. Children under the age of 12 years are able to share a double cottage with their parents at a nominal rate.